Why you should buy your golf equipment at St. Andrews! Consumers have many decisions to consider when it comes to purchasing a new driver, putter, sand wedge, or set of irons. Am I paying a competitive price? Does this club fit me? Where should I go, who can I trust? 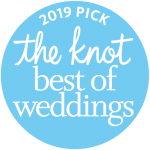 ***Signup now for a 2019 Fitting Day! Call 630.231.3160 to get fit before your purchase. Does a “Touring Pro” get fit indoors with a net? Why would you? Numbers are great, seeing the ball is a must! TOUR EDGE– (Hot Launch 3 +Exotics EXS) Saturday May 11, 11-3. Wednesday May 22, 2-6pm. CALLAWAY – (Epic Flash and Apex) Thursday May 2, 2-6pm. Saturday June 15, 11-3pm. TAYLOR MADE – (M5 + M6 and more) Thursday May 9, 2-6:00 pm. MIZUNO – (Forgings and more) Thursday May 16, 2-6pm. WILSON – (Cortex/Driver vs. Driver Winner) Friday May 17, 2-6pm. PING -( G410 and more) Thursday May 23, 2-6pm. TITLEIST – (TS Metals, AP Irons) Friday May 31, 2-6pm. 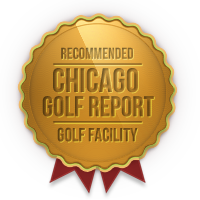 We recommend making an appointment where you will be fit by a golf professional. Our on staff golf professionals have been trained by our Head Golf Professional (30+ years experience as a playing professional, teacher, and club fitter). Secondly, our professionals were required to attend numerous fitting seminars conducted by our participating club fitting companies and/or the PGA of America. Company fitting carts and trial sets are available with current clubs, and options for all types of golfers. Many fitting carts now include screw in shafts and club heads for greater customization and hundreds of options. 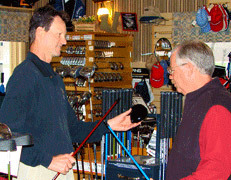 Finally, our golf professionals not only fit clubs, they can teach you how to use them. You will be fit by a pro that has also been trained to teach and has knowledge of the golf swing. Some clerks in a store are qualified, but many are simply part-time recreational players. How was that shot? Well, I don’t know because it hit a net 15 feet away. When you are fit at St. Andrews you will always be able to see the ball fly. Was it high? Which way did it curve? Did it get any roll? Being able to see the golf ball’s flight provides vital information in determining which club is best for you. Are you going to trust a computer showing you where it thinks your ball went? Seeing is believing! We will not judge the correct club by looking at you and categorizing you – strong man needs stiff shafts, tall guy has to use longer ones, etc… We watch and analyze your individual swing using lie angle boards and tape, swing speed machines, clubface to ball contact, and once again our highly trained eye. For driver fittings we can also use a state of the art radar based launch monitor, measuring additional data including launch angle, ball speed and spin, etc…Most importantly our fittings involve you hitting the golf ball, static measurements can only show us so much. Some first timers swing harder than others – we need to see that, a yardstick cannot tell us that! Can St. Andrews be an expert in every golf club? Honestly, we cannot. 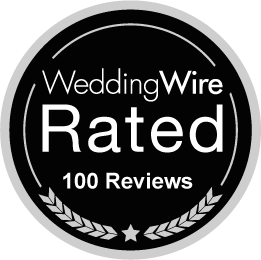 Therefore, we carefully provide 3-5 “best sellers” in low, mid, and high end price ranges. We choose our lines considering factors such as tour player use, company reputation (speed of delivery, quality, warranty, commitment to custom fitting…), and what you, our customers are asking for. 99% of our iron set sales are custom ordered after a fitting. Your clubs will not have been on a rack getting shop worn. Furthermore, some players may hit higher lofted woods or utility clubs better than long irons. Custom sets can be ordered starting with 3, 4, 5, or any other configuration to fit your game. Set make-up, the addition of #7 + #9 woods, additional wedges, and utility clubs are possibly the most important decisions to be made with your fitter. Large selections of these items are in stock year round and can be made to order. Sometimes the only consideration for some customers. St. Andrews has been in business for over 90 years! Yes we must earn a profit to stay in business, but we are very competitive in the marketplace. Many customers are surprised to find our prices the same if not lower than the competition. We do not price a new or hard to find item any higher when introduced. Our best customers buy first, so why penalize them and reward those who wait? Consistent, fair pricing policies are very important to us. However, some items will be put on sale after that product has run its cycle and/or is known to be on closeout due to newer technology from that or other companies. Please use our demos. Try before you buy. Compare with your current clubs. Most mistakes are made because of emotion. Our staff will be honest in accessing if a club is right for you. We invest in clubs for you to experiment with so you can decide which brand to choose. What looks good, sounds right, feels best, etc… Clubs are different for everyone. Our Practice Center is set up to appear as if you were on the golf course. Target greens, real sand bunkers, even a fairway to help you in this decision. Lets not forget actual putting greens (no Astroturf here!) to try the putter you like! Our yardages on the range are calculated daily to our targets to help you accurately analyze your distances with each club. How far are you really hitting that 6 iron? 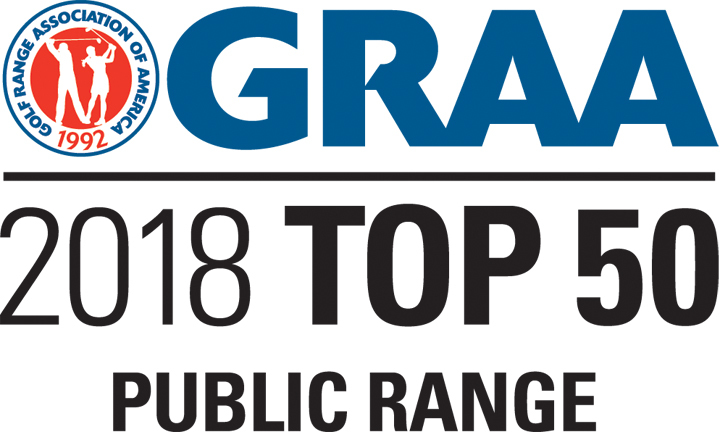 2012, 2013, 2014, 2015, 2016, 2017, 2018 Golf Range Association of America – Top 50 Public Range in America ! Why not buy your golf equipment at St. Andrews?